Whether you’re getting a new dog or you’ve had one for years, microchipping your pet is worth serious consideration. Even if your dog is extremely well-trained, the cost of microchipping is a great investment in your dog’s safety and well-being. Even a well-trained pet could become startled and bolt away from his owner or his home and become lost. A microchip increases your chance of your pet finding his way back to you. Good dog leash training goes a long way toward protecting your pet. Since your dog isn’t running loose, he’s not likely to get separated from you. But if you’re relaxed for a moment and a loud noise like a car backfiring startles your dog, it’s conceivable that he could bolt, pulling the leash out of your hand. His collar could break or the leash could come loose. If you use high-quality dog harnesses and leashes from EzyDog, this isn’t likely. But accidents do happen. If your dog runs too far and fast for you to keep up and doesn’t respond to you calling, you could end up with a lost dog. An identity tag on his collar or harness can help him be returned, but if the problem was a broken collar that fell off somewhere, that won’t help. A microchip, on the other hand, stays with him no matter what. There are often times when a dog could simply get out of the house through an open door and take off to explore the sights and smells. A thunderstorm could frighten a dog into dashing through an open door or breaking off a leash. July 4th is a day when many dogs, frightened by the fireworks, run away from the noise and their homes. In fact, July 5th is a busy day for animal shelters because of all the pets that have been lost from running away from the noise. If the animals were microchipped, they could more easily be returned home. 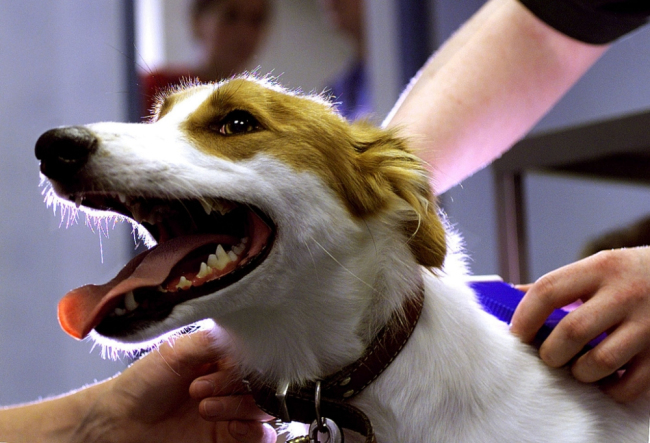 When your dog is microchipped, a tiny chip is placed just under the skin. It shouldn’t cause your pet any problems aside from possible slight soreness for a day or two after the simple procedure. If your pet turns up at an animal shelter or is hurt while lost and taken to a veterinarian’s office, most will scan pets for microchips. Unfortunately, not all do, which is why ID tags and rabies tags are necessary, too. But if they scan, the information on the chip will connect your pet to you. As long as your contact information is correct, you’ll be contacted and notified of your pet’s whereabouts so you can retrieve him. This gives you an extra layer of protection if your dog should ever become lost, and can help set your mind at ease.